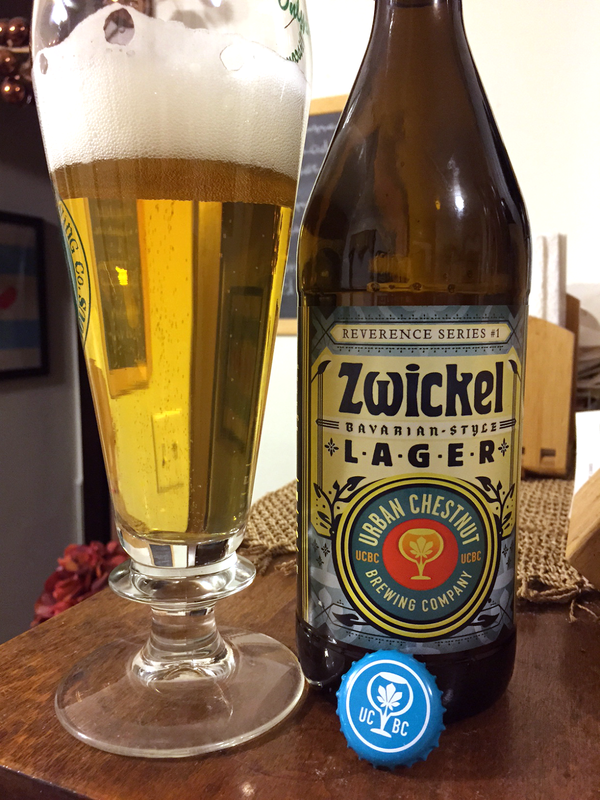 St. Louis based brewery Urban Chestnut recently announced plans to enter the Chicago market with their German-style portfolio via Lakeshore Beverage Distributors. 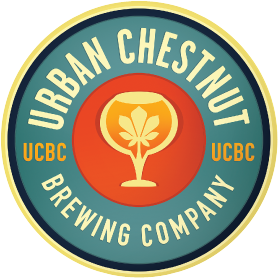 Urban Chestnut is committed to both its traditional German roots as well as to modern American craft beer, which is reflected by splitting their portfolio into two series: the Reverence Series – paying homage to classic European-style beers and the Renaissance Series – celebrating where American craft beer is headed. We received samples of Zwickel Bavarian-style Lager and Fantasyland IPA and wanted to share our tasting notes. Zwickel is part of the Reverence Series. It poured a golden color with a bright white head, tight tiny bubbles and beautiful lacing on the glass. We expected some haziness, but found the clarity to be quite clear. The aroma displayed Pilsner malt notes of toasted bread, floral and spicy Noble hops and some mild DMS sweetness. The mouthfeel was full-bodied, creamy and sweet up front with strong malt character and a crisp finish. Clocking in at 5.2% ABV and 20 IBUs, this is a smooth, easy drinking beer. 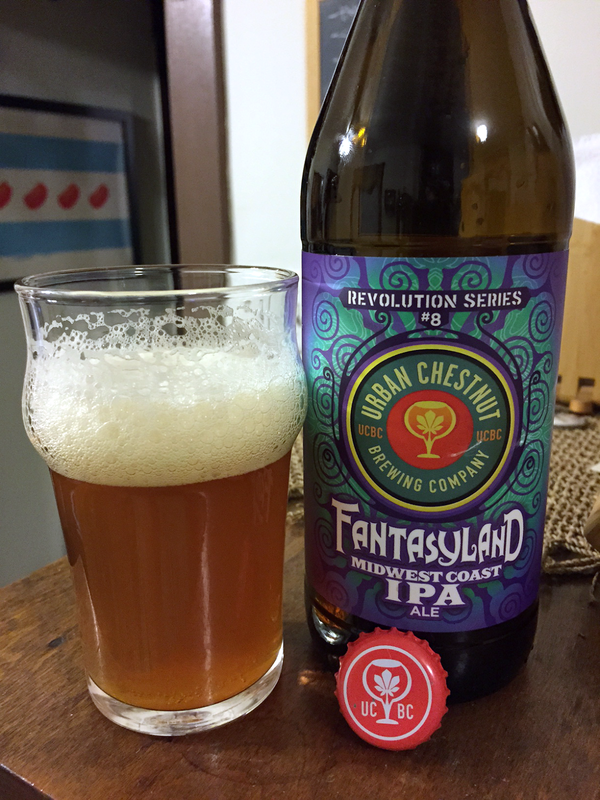 Fantasyland Midwest Coast IPA is part of the Revolution Series, Urban Chestnut's artistic take on an IPA with a Midwest twist. It poured hazy dark amber with a frothy off-white head, large bubbles and lacing. Citrus fruit and grassy hop aroma. Medium body with notes of citrus fruit, tropical fruit, pine and resin. There's a good deal of lingering malty sweetness, missing the dry, hop forward finish. At 6.5% and 60 IBUS, it's a drinkable beer with refreshing aroma, but not quite the balance one would expect from an IPA. Zwickel, Fantasyland and Schnickelfritz (German Hefeweizen) are available on draft ($5-7 a pint) and in 4-pack bottles ($8.99-10.49) around the city. For more information on their launch into the market, check out this article on Lakeshore Beverage's blog.